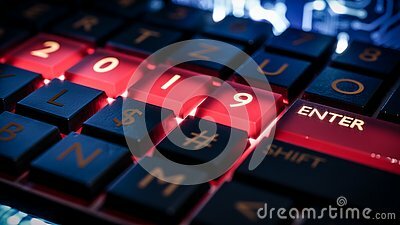 Keyboard with red light on 2019 number and enter key. New year. Close up view of keyboard with red light on 2019 number keys and enter key. Technical concept for entrance or start to new year. Happy new year, 2019. 3D rendering.